I grew up in the late forties early fifties and one of the things that stands out in my memory is the old steam trains. Of course they weren’t the old steam trains back then they were just trains. Like most working class people back then we didn’t own a car. The only means of transport my father ever owned was his bicycle, which he used to cycle to work. Neither of my parents ever learned to drive, and my mum couldn’t even ride a bicycle. Back in the late forties early fifties if we went anywhere local we either walked there or caught a bus. Most working class people did not usually venture far from home. It was not unusual for many generations of the same family to live on the same street or in the same neighbourhood. Some children had never been out of the city they were born in until after they left school and some not even then. It seems strange looking back now at how excited we got at the thought of going sixty or seventy miles to the coast. Going away on holiday was a big deal. The physical distance seemed so big and the journey so long. The scenery we saw through the train windows was so different from where we lived. Instead of the grimey inner city streets and rows of terraced houses we saw the countryside. The countryside we travelled through and the seaside resorts were like another world. Gone were the grimy streets of back to back terraced housing of the city. In the city everything seemed so hemmed in. Instead was much wider less densely populated streets of the smaller coastal towns. Everywhere looked so much cleaner, so much fresher than where we had come from. There were hardly any industrial buildings in the small seaside resorts. So there was also none of the noise and pollution that goes with them. Back in those days Britain still had a thriving fishing industry. Many of the coastal resorts still had fully functional ports and fishing fleets. The fishing industry provided a livelihood for many of the seaside town's inhabitants. It was a proud boast of my mums that we always had a two-week summer holiday away at the seaside. Mum planned our holiday and we looked forward to it all year round. My mum often worked two jobs to save up enough money to pay for the holiday. Back then many working class families did not go away on a summer holiday because of the cost involved. It wasn’t until many years later when I had children of my own that I began to appreciate what our holiday cost my mum. I had no idea of the personal sacrifices my mum made just to give us our two week annual seaside holiday. When we went on our summer holidays to the coast, the train was always the preferred way of travel. 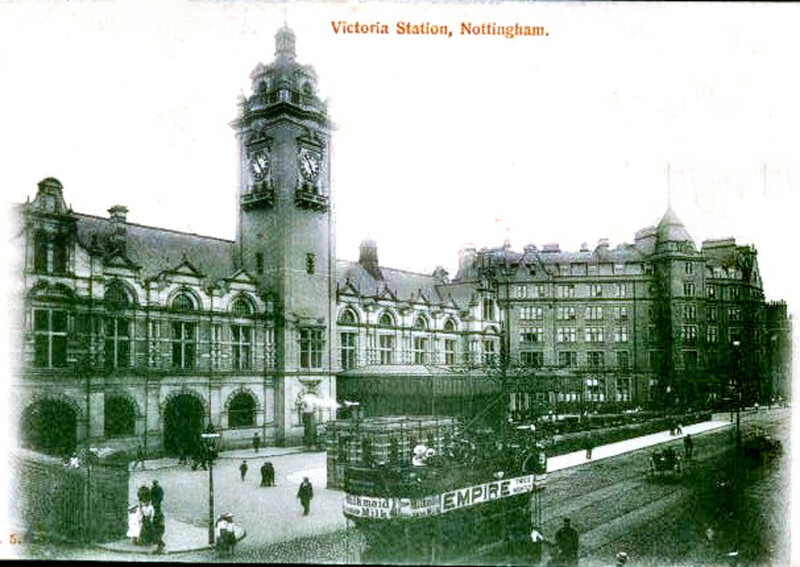 Nottingham back then had two big railway stations, The Victoria Station and The Midland Station. The huge building to the right of Victoria Station was the very grand looking Victoria Station Hotel. As far as I know this hotel is still standing but it is no longer owned by British Rail. This is a very old photograph of The Victoria Station but it looked pretty much the same on the outside throughout its lifetime. This is a fairly modern photo of the Midland Station and like the Victoria the out side of the station has remained pretty much unchanged. As we stood on the platform waiting for the train to arrive we always hoped for a corridor train. We wanted a corridor train because then we could wander up and down the length of the train. Being able to wander the length of the train always seemed to make the journey go much faster. The train journey was part of our holiday fun. Especially if the train had a corridor because then the the train also became our playground. But, we had to make sure that we didn’t make a nuisance of ourselves. If we made too much noise the Ticket Inspector or the guard would quickly march us back to our parents. The inspector would then tell our parents in no uncertain terms to keep us under control. The other big advantage of having a corridor train is that each carriage had a toilet. If the train did not have a corridor you were stuck in the compartment until you arrived at your destination. Mum always made sure we went to the toilet before the train arrived just in case the train did not have a corridor. No one wants to arrive at the seaside with urine soaked children, it is not fun. Back in those days there were two kinds of carriages one with a corridor and one without. If the train you caught had a corridor that corridor connected the carriages to one another. With a corridor train you could walk the length of the train via this corridor. Each carriage on a corridor train had a toilet. If you were lucky there would be a refreshment carriage as well. In the refreshment carriages you could buy drinks and snacks. Having a hot cup of tea on a train somehow seemed very special. Especially so if the cup of tea came with a fruit scone or a sticky bun of some sort. If the train did not have a corridor then each compartment had its own door. Once on-board the train you were stuck in that compartment of the carriage. Once in that compartment you were there until your journey’s end. So it was important to go to the toilet before you boarded the train. Each compartment had two doors one each side of the compartment. This was so that you could get in the compartment from either side. This was important because which platform the train was on dictated the side we got on the train. My mum would always make sandwiches and a flask of tea to take with us on the train. Mum would make the sandwiches at home because it was much cheaper than buying those things on the train. Back then every penny counted, and the less you have to pay out the more you had to spend. If we got too much of a pain with our endless questions, such as "How much further is it?" or "Are we nearly there yet?" mum would feed us. The sandwiches would either be ham or egg. Mum wrapped them in the waxy paper that the sliced bread came wrapped in. These sandwiches always tasted deliciously different to the ones back home. At least while we had food in our mouths the questions would stop and our parents had a bit of peace. When Skegness , or Skeggy as it was fondly known, was our destination my dad had a way of occupying my brother and I. Dad would offer 6d to the first one to see Boson Stump. Boston Stump is a famous Boston landmark. It is the tall tower part of St Botolph's Church in Boston. Because Lincolnshire is so flat, you can see the Stump from miles away. My Brother and I would sit at the train window eyes peeled looking out for the Stump. It was always exciting when the Stump came into view. We knew when we could see the Stump we were not far from the seaside. Plus one of us would be getting the 6d reward for spotting the Stump first. If you had a corridor train you could look into the other compartments as you walked down the corridor. On the British railways of that time there were three classes of carriage. There was first class, second class and third class. The difference between the classes is reflected in the price paid for a first class ticket. The price for first class is much higher than the other two classes. But by paying the higher price you got a much better compartment. The standard of the furnishing in the first class carriage much higher. The upholstery was much plusher and it always looked cleaner and fresher. 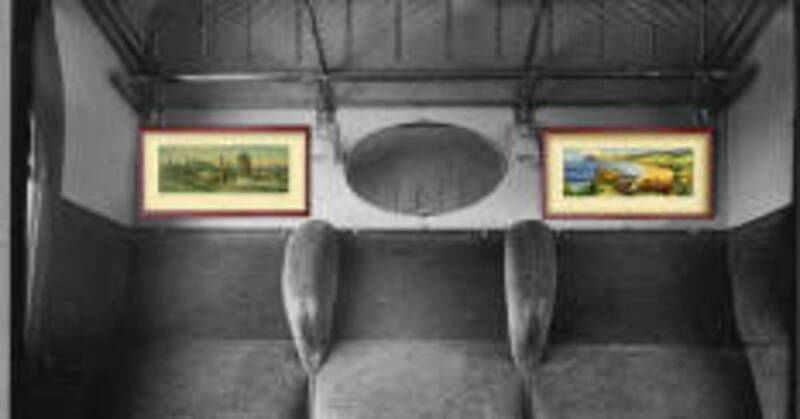 It was also usual for most carriages to have some form of art print in a frame. The pictures were just above head height of the sitting passengers. Each picture was secured by a screw at each corner so that it could not be easily removed. The trains we travelled on were often Summer excursions. The Railway laid these trains on to take the working class to their holiday destinations. So all the carriages on the excursion trains were just one class, there were no first class carriages. There were also smoking and no smoking compartments. Both my parents were smokers at that time so we always went in a smoking compartment. I have never travelled first class on a British train. 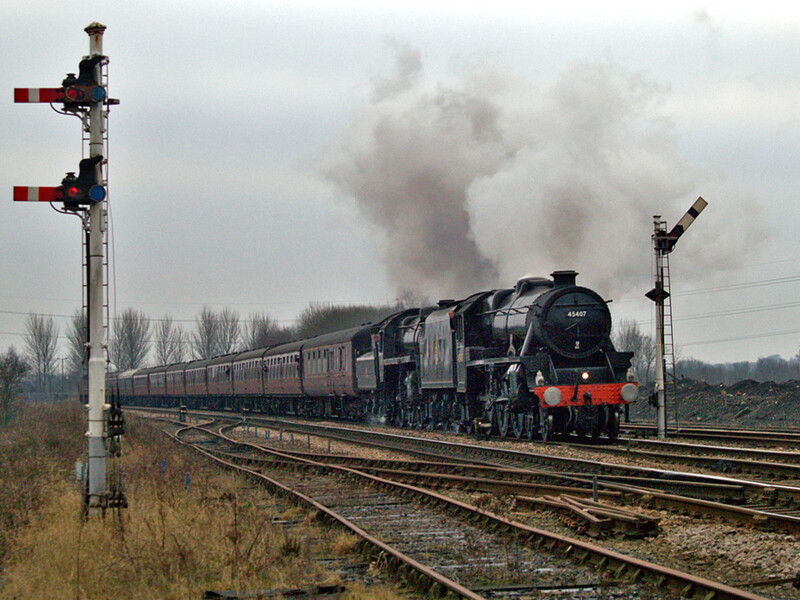 At holiday times the Railways put on special trains each Saturday. The carriages of these trains would always be full to bursting. Most working class people at that time did not own a means of transport. Owning a car in the UK back then was still more of a middle and upper-class sort of thing. There were exceptions of course. My friend’s dad who lived on our street had a car. At that time his car was the only one on our street. My friend's father drove for a living he was a lorry driver for Fyffe Bananas. The streets that we lived and played on rarely had any cars parked on them. Often the streets were our playgrounds and it was rarely that a car interrupted our play. Back then it was not unusual for a firm to close down for its annual holidays. This obviously meant that all the workers took their holiday at the same time. If you wanted to go on holiday the journey for most working class people would be either by train or coach. The nearest seaside towns to the Midlands were Skegness, Chapel St Leonards and Mablethorpe. So many of the working class people of chose these seaside resorts for their holidays. I did not like travelling long distances in buses as a child. Apart from the boredom of having to sit still in a seat I would sometimes suffer from travel sickness. Back then the coaches did not have air-conditioning or toilets on board. People were also allowed to smoke on buses. This was not too bad if it was a double decker bus as smokers had to go upstairs. This left the downstairs deck smoke free. But the coaches that took us on holiday were single decker buses. Often you could only smoke at the back of the bus on a single decker but the fume tended to travel foreward. Travelling in the heat of summer on a coach where I had to sit still was not my idea of fun. For me the train was always my favourite way to go. I remember the excitement my brother and I felt as we arrived at the railway station. After getting our tickets checked, my brother and I would run ahead of our parents. We would rush down the steps to the platform. There we would find lots of other holiday makers who were waiting for the same train as us to arrive at the platform. Many would be sitting on their suitcases as they waited. Mum would make sure that we always arrived at the station early. Trains didn’t wait for you if you weren’t there when it was ready to go then it would go without you. Dad would settle us down somewhere on the platform and we would sit on our suitcases. Then off he would go and get a cup of tea for him and my mum. It was like bedlam on the station platforms at holiday time. The kids would be running about squealing and laughing. Mums and dads would become frazzeled from trying to keep an eye on the kids and the baggage. While also watching for the train at the same time. The smell and the noise when at last the steam train pulled into the station was quite unique to the steam era. It is so different to sights and sounds associated with the trains of today. The sounds of the couplings clinking and the engine hissing. The air was full of steam and smoke that seemed to linger even after the trains had gone. All these steam associated smells and sounds have now pretty much disappeared. When everyone was on board the train would build up steam. The train driver would blow the train's whistle and off we would go. The train would start slowly making a huge chuffing sound. Each chuff the engine made would get a little close to the sound of the next chuff. This went on until the train reached full speed and the individual chuffs were no longer heard. Soon we were speeding along through the countryside at last on our way. Within minutes of leaving the station we would be asking the inevitable questions. "Dad are we nearly there yet? and "Dad how much longer is it to Boston?" We knew that as soon as Boston Stump came into sight then we were not far from the seaside. My brother and I would always compete with each other, to see who could spot the Stump first. On the train there were smoking and none smoking carriages. This ruling was strictly enforced by the guard or Inspector. Back then most people seemed to smoke so there was always a heavy demand for seats in the smoking carriages. We always travelled in the smoking carriages as when my brother and I were young both mum and dad smoked. The thought of going without a cigarette for two or three hours was not something that either of them wanted to do. Back then the films and advertising portrayed cigarettes as beneficial to your health. Smoking was seen as the cool thing to do. Even film stars that didn’t smoke in real life would take a puff in their films to look sophisticated and cool. This next video shows very much what my generation was exposed to by way of pro smoking propaganda. The song that accompanies this footage is ‘You are so beautiful’ which matches perfectly the image that was being portrayed. I digress lets get back to trains. Of course you could tell immediately when you had entered a smoking carriage. The smell of stale cigarette smoke permeated the carriage. Even when there was nobody in the compartment that stale smoke smell was still strong. The upholstery that had soaked up the smell like a sponge now exuded it back into the air. I doubt if I could not stand to sit in such a carriage with that stale cigarette smell. But growing up in a smoking household it is surprising how little I noticed this smell. There was something magical about steam trains. Even though in reality they were often smelly and dirty. The smell and the dirt caused mostly by the smoke. When the train went through long tunnels we had to make sure that the carriage windows were closed. If the windows were left open, the compartment would soon fill with smoke from the engine. Even with the windows closed some of the smoke still managed to seep into the carriage. Though I didn’t mind the smoke smell to much. I suppose mainly because I always associated this smoky smell with going somewhere nice. As the train sped along the rails there was a clickerty clack sort of rhythm. The carriage seemed to sway gently from side to side as it sped along. The poem really captures the feel and rhythm of the steam train as it puffs out its smoke and steam as it thunders along. 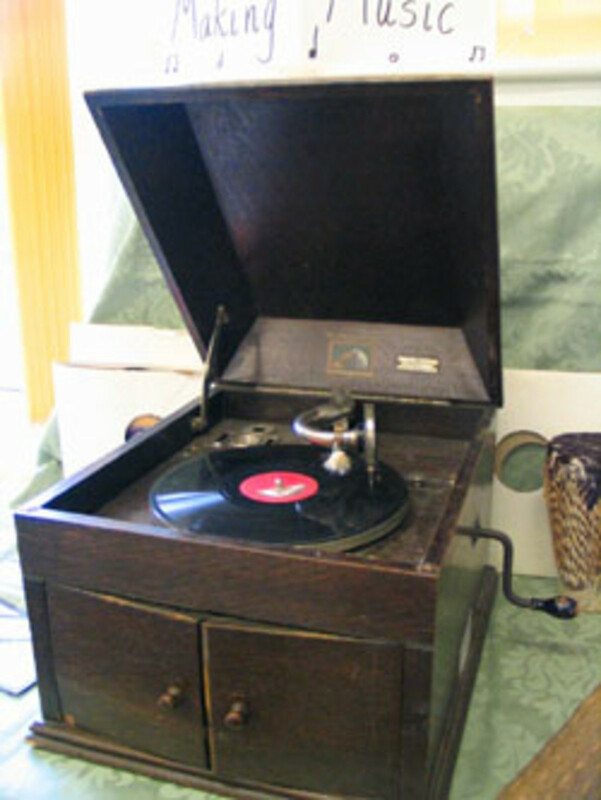 We had the old wind up gramophone when I was young, and after we got the radiogram, I was allowed to use this wind up gramophone unsupervised but not the new radiogram. This is something similar to what we had. This clickerty clack rhythm reminds me of a set of Sparky records I had as a child. I think there were four or six 78rpm records in the set and one of the stories was Sparky and the talking train. I would play these records on an old wind up gramophone. The wind up gramophone gave a surprisingly good rendition of the record. That is, as long as you wound it up well before you started. 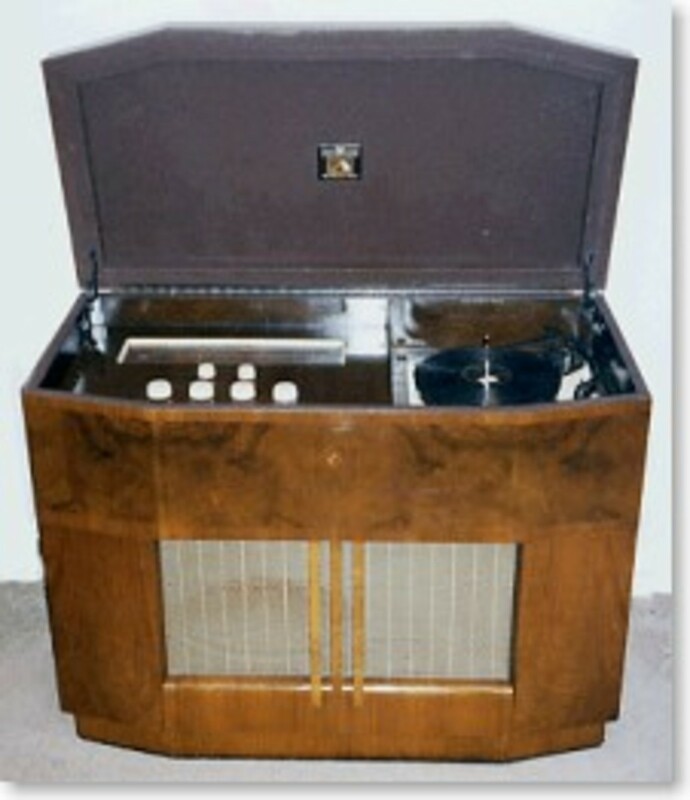 Later I would play it on our new radiogram under supervision. I would play the Sparky records over and over again. I never got tired of hearing these stories. In the set I think we also had Sparky and the Echo and Sparky and the magic piano. But, the talking train was always my favourite story. When I listened to them on the radiogram I would sit on the floor with my head resting on the speakers. The speakers were in the front of the radiogram. I would listen with my eyes closed tight. I would listen to radio programs in the same way. It may seem strange to young people today, but in some ways stories told like this were better than TV. When I closed closed my eyes and listened to the story my imagination brought it to life. If you want a blast from my past this two part story of Sparky and the talking train has been posted on Youtube. I have put both parts below for you to listen to. I always thought as a child that I was special because I could hear the train talking too. Now, even after more than fifty years of not hearing this story, I can still hear that train talking to Sparky. The train keeps saying over and over "right front wheel, right front wheel." 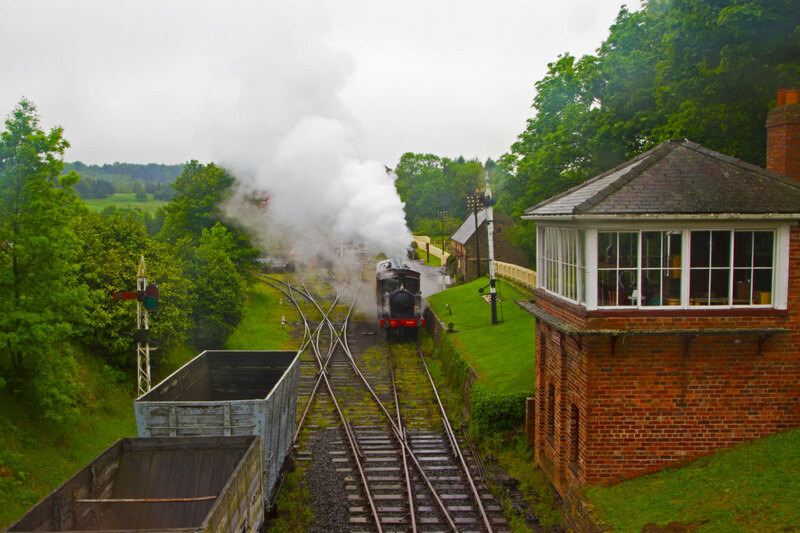 The voice of the train speaks in a clickerty clack rhythm of a steam train speeding along its tracks. 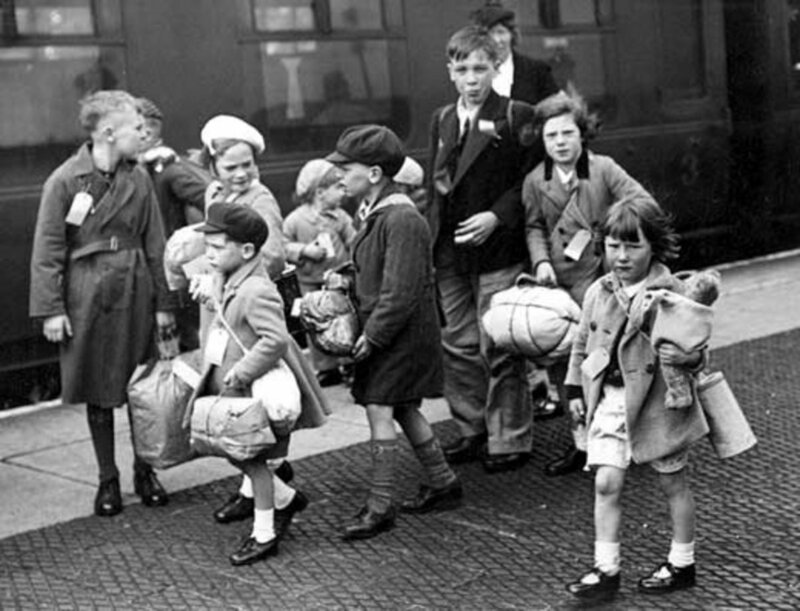 When we finally got to our holiday destination, barrow boys and girls were waiting at the station. The barrow boys and girls made good money from carrying your luggage. They met us at the station and transport our cases to our holiday accommodation. there were barrow boys and girls to meet both the trains and coaches. Their mode of transportation for your luggage was usually a home made conveyance. Usually the barrows were made out of old pram wheels and bits of wood. No two barrows looked alike. Some looked and worked better than others and some were easier to control. Most of the time the barrow boys and girls would not give you a fixed price. Instead they would say "I’ll leave it up to you, give me what you think it is worth". I couldn't find any images at the railway station but this is at the coach station. This might sound a risky thing to do. But in the main,it worked out in their favour. Especially at the beginning of the holiday when people had a bit of money in their pockets. At the beginning of the holiday most holidaymakers were generous. Most gave the barrow boys and girls more than they would have charged. There were of course those that were the exceptions. But generally everyone involved was happy with this way of doing things. Those were happy days. Just writing this hub has brought back many happy memories and for that alone it was well worth writing. I hope you have enjoyed this small peek into the bygone age of steam trains. I hope enjoyed this hub there are other hubs that are about working class life. The Hubs have the common theme of coming from a Working Class perspective. This working class perspective is different from that of the middle and upper class. It differs quite a lot from that of the Middle Class. But has virtually nothing in common with the Upper Class's perspective. What a lovely hub. This must have been a labour of love. A very interesting period to read about. Thanks! Hi Alan, my Uncle and my brother both worked for British Rail, and one of my neighbours was a train driver, which seemed a very exciting and glamorous job to me as a child. I think it seemed so exciting because I always associated train travel with going on holiday, and driving the train seemed like a very desirable job to have. It was a sad day when Nottingham lost its Victoria Station. 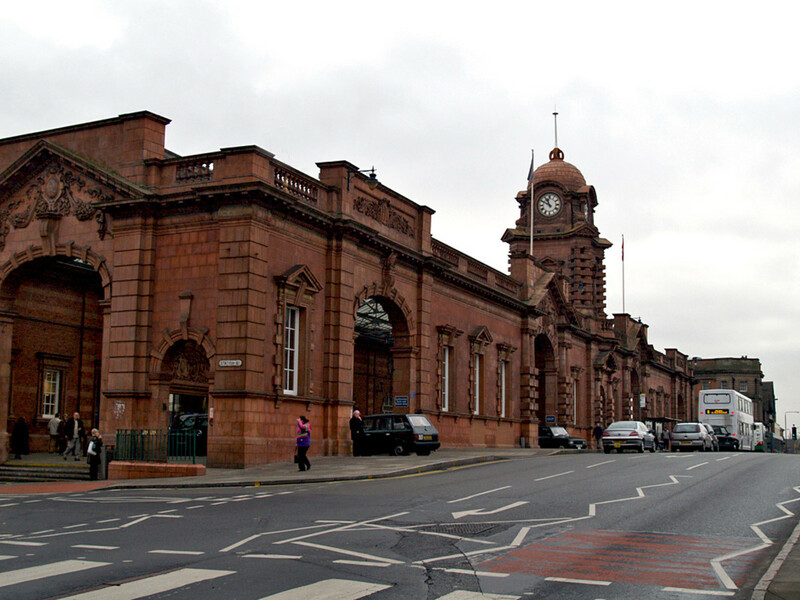 The shopping centre that took over its space in town bears its name, The Victoria Centre, the clock tower is the only piece that remains of the old station. Your colleagues were right Nottingham did de camp and if you were on holiday at any one of those places that fortnight, then you were bound to see people that you knew. Often people went on holiday the same couple of weeks every year, often staying at the same boarding house. Arriving at the boarding house was often like a re-union as you would meet the same families that you met last year. This was wonderful, as you had ready made friends to play with, right from the first day. Maggs this is a blast from the past! To John Hewitt, I live in Forest Gate these days. When I first moved here in the late 70's the system on the railways was still British Rail, all electric traction on the main line to Colchester, inter-city diesel to Norwich before the 'juice' was extended to Norwich. The suburban stock from Shenfield to Liverpool Street was newer sliding door stock but clapped out. 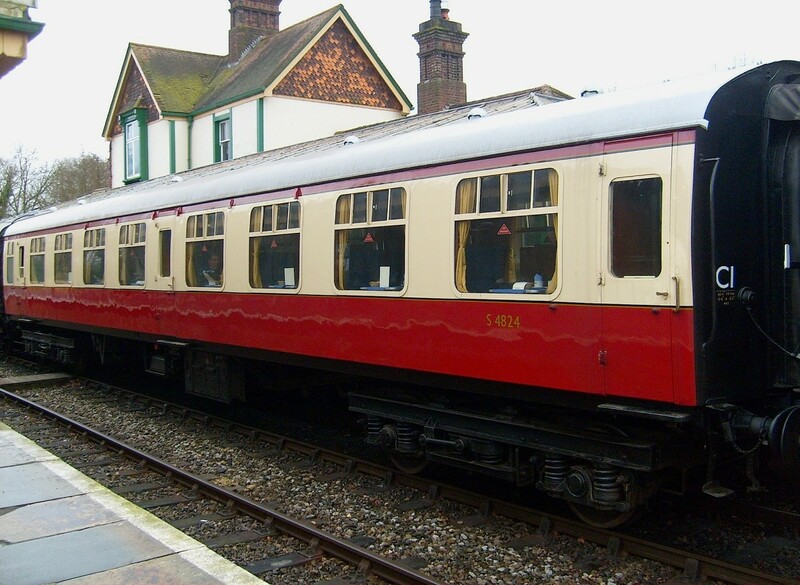 The stock for Southend Victoria trains was slam-door, with Gresley bogies (converted Thompson non-corridor stock with a couple of lavatory composites in the rakes), similar to trains that ran up to Enfield via Bethnal Green. Maggs I lived in Nottingham in the late 60's, just a few years after Nottingham Victoria Station was closed down. Colleagues at work told me about how Nottingham 'decamped' to Mablethorpe for the Wakes Weeks when the lace factories, the Players cigarette factory and Raleigh's cycle factory all packed up for the fortnight. When I wanted to travel north to York the connections were crappy because the Midland region had seen to it that way (which is why the ex-Great Central went downhill and the stations between Manchester, Sheffield, Nottingham and Leicester Victoria had to close down and everybody was forced onto the Midland Region line north or south to St Pancreas). The job market had 'dried up' in Nottingham so I had to move further south in 1971 to continue in the newspapers after I was made redundant from the Nottingham Post & Guardian. Thank you so much for your comment TurtleDog, one of our neighbours was a train driver and my brother and many of his mates were avid train spotters. How cool to have a train driver as a dad, and I am with you and your dad the diesel trains are just not the same as the old steam trains, the steam trains really were magical. Thank you Tammy I am so pleased that you enjoyed the hub that trip via train through the Appalacian Mountains at Christmas sounds wonderful. This is a fabulous hub. This era in history and trains are two subjects that fascinating. I have never been on a train before. I moved to an area with a historic steam train and will try it soon. Here you can take a train ride through the Appalacian Mountains for Christmas. I look forward to reading your other hubs featuring this era! Let me encourage you John to try train travel today. Over Christmas I visited my daughter in the States and I flew from Madrid airport. Madrid is just over 430 kilometres from where I live on the return journey I travelled from Madrid to Alicante by train it only cost about 26 euro travelled at about 140 kilometres an hour and took us about three hours. The train was super clean had an attendant who came and gave us headphones so we could watch the movie or listen to music the controls for which were on your arm rest just the same as on a plane. It differed from the plane in as much as we had lots more leg room no luggage restrictions and we could visit a refreshment compartment where snacks and beverages were for sale. The was much more freedom on the train and there was no problems getting in and out of your seats. After this experience I would have no trouble at all recommending train travelled at least in Spain they have an excellent service and if you book in advance online you get so many offers that they almost pay you lol..
A really great hub. It is interesting to read about railways in the 40's and 50's in Britain. As a child I traveled from New York to Tucson, Arizona on a train and loved to watch the towns approach. The lights got bigger and bigger. Now I wouldn't think of traveling by train. Maybe I should? You are quite right Geoff, the steam trains were dirty belching out smoke, if ever you went through a tunnel and one of the carriage windows were open the carriage would fill with smoke. 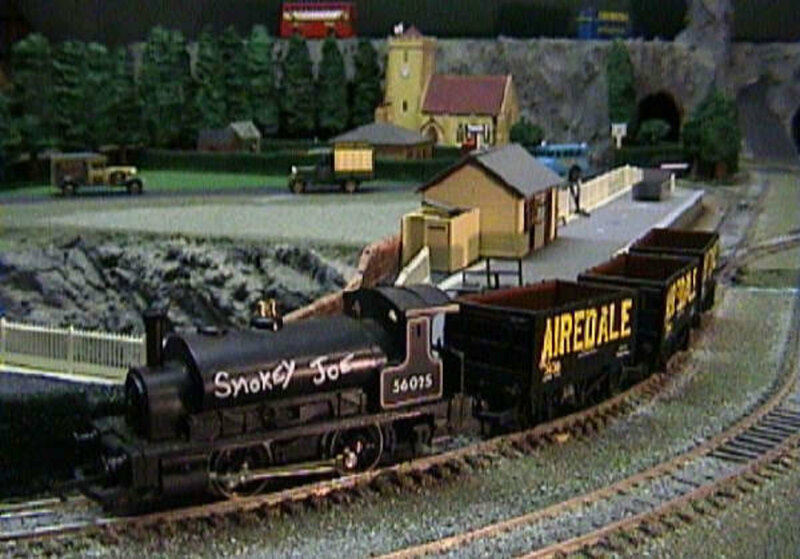 As for smoke and soot, getting on your washing well back then you did not have to live near the railway track for that to happen. All the houses in my neighbourhood had coal fire heating and in the winter months factories, power stations and homes poured smoke into the atmosphere almost none stop. Thick fogs were a common event and if you looked down on the city in the winter from any height, you could see the pall smoke hanging over it. I know what you said is true but for me these trains were always associated with the exciting times like going on holiday or visiting relatives for Christmas. These times were usually very happy and memorable so in spite of the dirt and the grime I still have very fond memories of these trains. Having said all that, recently I travelled on a train from Madrid to Alicante a journey of over three hundred miles. Shortly after the train pulled out of the station an attendant came round and gave us each a set of headphones which we plugged into the arms on our seats (just like they do on an aeroplane) we could choose to watch the film being played on the big TVs around the carriage or listen to various music channels. The whole journey only took about 3 hours we had a small screen that told us how fast the train was travelling and for a lot of the journey we were travelling at around 149 kilometres an hour. This journey was a world away from the steam travel of my childhood and I must admit I enjoyed my modern journey. The train was so light, clean and comfortable the journey was a real pleasure and I am glad things have changed. Yeah - travelled a lot in UK on steam trains- but looking back - they were filthy things! Pity the poor families living near RR tracks- hope the laundry would not be too badly hit witho soot! It annoys me now to see these 'excursion' trains still beltching smoke! And - if you are in carriage behind one- it's the same as being pulled by diesel! Leave the steamers static - we need cleaner air! Hi John, I am so glad that this hub brought back pleasant memories, sounds like you have a great mum. I used to love it when my mum would tell me stories about when she was a child I wish she was still here now so I could hear those stories again. I have a daughter who is also happily married to an American (they married in 2003) and she lives in Fredericksburg about half an hours drive from Washington DC. As a fellow Englishman living in Las Vegas for the last 7 years, Happily married to a wonderful American. I was moved by this hub. My mom always tells me stories about growing up in the East of London in the 50's and 60's. When neighbors used to watch one another houses and that you could left your back door open all day. Hi Cheeky Girl, thank you so much for your kind comments I am glad that you enjoyed your little travel back in time it is amazing how much things have changed since those days. 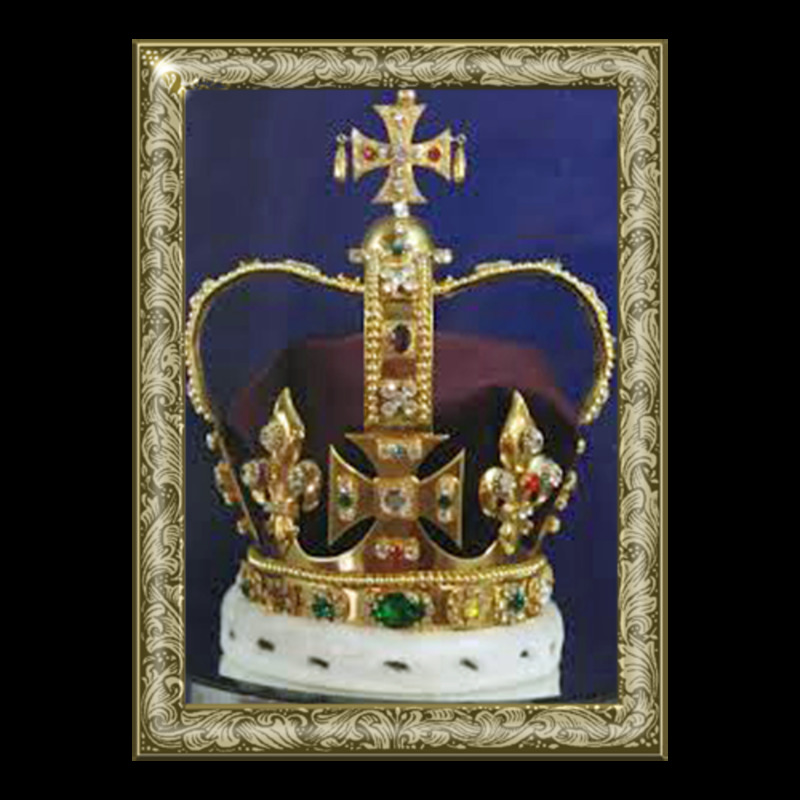 When I think of my Grandmother who was born in 1895 when Queen Victoria was still on the throne she saw so many things change in her lifetime. In her eighties my Grandmother had breast cancer and had a mastectomy but after recovering from the surgery she went on to take her first flight in an aeroplane when she flew to visit my Aunt in Australia. My Grandmother would have been eight years old before the inventors of the aeroplane the Wright brothers made their first powered flight in December 1903. Hi electricsky, I am glad that you liked the photos and you are so right we have come a long way since then. Many of the things we enjoy today were hard won by this generation of working class people. We take so much for granted these days, paid holidays, the National Health Service being able to belong to a union. It wasn’t until 1928 that women over the age of 21 received the right to vote on equal terms as men. 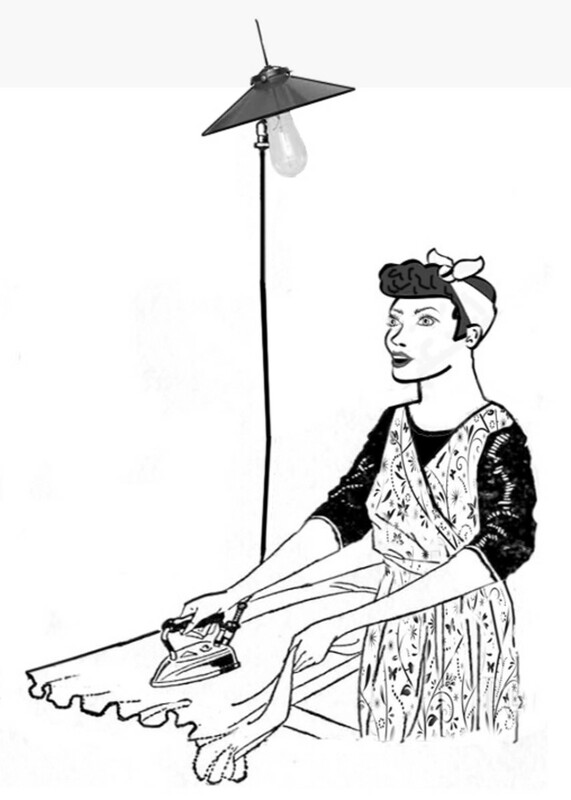 I like your pictures of things made in the 40s through 50s era. Haven't we come along way. Like I always say many people have worked very hard for our lifestyle; especially the working class. Thank you for sharing. Hi Shane, I have just been and read your Hub about your Grandpa and your facebook tribute to your Grandpa. Thank you for telling me about this hub I love to read about the lives of family members it gives us a window into the past that cannot be found in the history books. It is amazing to see just how many of this generation lived to celebrate Golden and Diamond Wedding anniversaries. My mum and Gran both lived long enough to celebrate their Golden wedding anniversary but due to the death of my granddad my Gran did not get to have a Diamond anniversary nor did my mum. This generation went through very hard times but left us a real legacy of love and a great illustration of how to get the best out of this life. I didn't know that about devorce then so thank YOU I shall have to talk to her more aobut how her and her mom and borther ended up as they did then. I do make it a point to talk to her weekly most weeks 2 or 3 times especially since her husband past away last year as seen in my HUB to my grandpa but even beofre I liked to keep in touch with her, and she still ahs a huge english accent too which people love to talk to her about. YOU and her are so full of knowledge it just makes me want to visit in real life even more .. smiles. So since grandma is 84 now she grew up there 30's as a child huh ... wow seems crazy saying it out loud. Hi Shane, Thank you for taking the time to leave such a nice comment I really appreciate it. I am glad that you enjoyed your virtual trip via this hub. You are quite right single moms bringing up children on their own was not a common thing back in the thirties and forties. There were however many widows left to bring up children on their own after the Great War and WW2. However, a single parent either through divorce or being left by their spouse in working class circles was almost unheard of. One of the reasons for this was it was almost unheard of for working class people to get a divorce. I cannot recall when I was young of knowing a single person who was divorced. A divorce was much harder to come by in those days and you could not get a divorce just by mutual consent. There had to be grounds usually adultery before you would be granted a divorce. Even with grounds it was not a foregone conclusion that you would get one. Divorce was something that was seen in the Upper Class and Middle Class but even there it was far from common like you said. Being a divorcee even a rich one still came with a stigma attached to it. One only has to look at King Edward and Mrs Simpson in the thirties to see this. In 1936 Edward was forced to chose between the crown and Mrs Simpson and he chose to Abdicate giving up the crown and all that went with it rather than give up Mrs Simpson. I envy you having your Grandma around to talk to. Try to find out all you can about her life and experiences while you still have the chance it will give great pleasure to both of you. What a great HUB and I hear more I will have to visit. I feel like I just tooka quick vacation myself, wonderful pics and such great detail. Will have to share some of this with my grandma she was a war bride from Birmingham and like you it seems grew up with the working class when she was raised by a single mom which is my understanding very uncommin for that time. Thank YOU so much for putting your memories on the web for so many to be a part of. Hi Tony yes I remember the Skills buses, I remember going on Coach Mystery Trips on Sunday Evenings in the summer time. 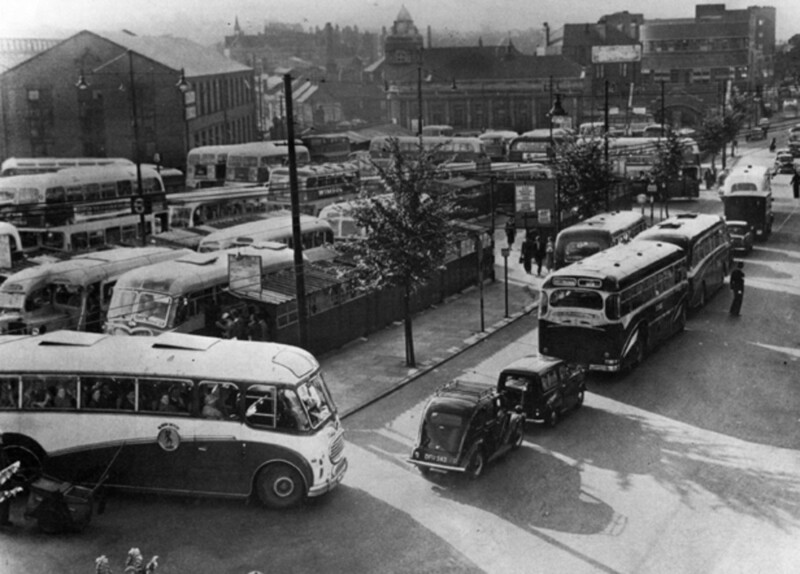 This was way back when most of us did not have cars and all it entailed was the bus driving out somewhere usually to a nice country pub where you would have a few drinks sitting outside in the warm summer sunshine then back to the bus station. We were easily pleased back then, though I would have been more pleased if I had a friend like yours who not only took you for free but picked you up from home in order to do that. Now that is what I call service. You are quite right it would be a sacking offence these days. Not everything changes for the better. a friend of the family drove coaches for them,if his coach wasn't full when he was taking day trips he would drive through ARNOLD and pick up my mate and me and take us with him (no one minded then)he took us all over wherever the trip was going,if a driver did that now he/she would be in serious trouble(how times have changed)but we had great fun.take care Maggs,Tony. Thanks Billy for your kind comments, glad you enjoyed the journey. Great hub Maggs - a great journey on the train in words and pictures. You captured the journey and era wonderfully. Now I need to go and read the other great hubs in this series. 2uesday, thank you for your comments, I am glad that you enjoyed the hub, I must admit I like taking these trips down memory lane. Fantastic hub, so much interesting information to read and lovely photos plus videos too. I will bookmark this one, anyone writing creatively about the past would find this informmation very useful. Thank you. Hi RGraf, Since getting married in 1967, apart from the underground in London and New York, I don’t think that I have travelled on a train either. We had a small Mini-van when we married and since marrying we have never been without a car, so we never had to rely on public transport for the longer journeys anymore. I have just remembered I think we took the children on a small train ride once when we were on holiday just so they could experience what it was like to ride on a train, but it was only a ten-minute trip up the coast. Of course America is built round the automobile and most Americans drive so their reliance on trains to travel I suppose was not so great as ours in the UK during the early fifties. Thanks for leaving a comment it is much appreciated. I have never traveled on a train. I wish I could. It always seemed magical when I watched it on TV. Rochelle, you are such a treasure, your kindness and encouragings words are a real blessing. I love HubPages, it is a community of very special people who go out of their way to encourage and support people from all walks of life and background. I bless the day I came across HubPages and I thank the people that make up the community for making me feel so welcome and a part of such a great family of writers. No worries, Maggs. You are among the top of the class here. Keep them coming. You have a natural, very readable, talent for storytelling. Hi Patty, when I saw your name and Jerilee's in my comments I felt like HubPages Royalty had visited me. The quality of both you and Jerilee’s writing leaves me in awe of your talent, not having had a very good formal education, leaving school at 15 not knowing the difference between there and their for a start, left me with a real complex about the standard of my written English. So to have such positive comments from such as you and Jerilee has really made my day, thank you so much for this encouragement it means the world to me. Hi Jerilee, I am humbled to have such a great writer and hubber leave such an encouraging comment, coming from you it means so much. I agree with Jerilee Wei. Bookmarked it so I can read over and over; it's another world that I like very much. Thumbs up. What a delightful read and adventure back in time! Hi Ann, thank you so much for your very kind comments, they have really made my day. I am glad that you enjoyed this little virtual train ride down memory lane. What a beautiful, exciting and entertaining hub, maggs! And despite the fact I never had the pleasure of riding a train, I loved how I felt if I was bumping along the tracks as you wrote and included great pictures and videos. I love history and this is very well done! Hi 2patricias, the trains in the USA seem so much more passenger friendly, and so much bigger than our passenger trains. My daughter has ridden on the American trains but the closest I have come is on the New York Subway which really doesn't count. Still the subway was an experience that I was thrilled to have after seeing this subway on countless movies it was good to ride it myself. Hi Mystique, glad you enjoyed the hub, I have been busy trying to sort out my new computer, getting all my old stuff put on etc, and getting use to this Spanish keyboard, which has keys in different places to the English layout that I am use to. Thanks for the warm regards and infinite blessings, I wish the same to you. This hub is absolutely brilliant. Thank you so much for putting in so much detail. Pat remembers being taken on an electric train (in the USA) in the 1950s, and it being a really exciting trip because it was electric. Pat's Wonderful Husband used to go on holiday by coach - everything for the whole family packed into one large case. Long time no see! ¿Andabas de farra? Great story! Well documented, nice videos. It looks like a mini-documentary! Glad I came! Thumbs up! Hi Ethel our local buses were trolley buses too, I think that they were ahead of their time, much less polluting than their diesel replacements. It was a source of great amusement when we were kids when the trolley's poles jumped off the the overhead wires and the bus conductor used to have to get his great long pole out to try to put the trolleys poles back on the wire again. Thanks for the comments, and for sharing your memories. Thanks for sharing your memories. I was born in the early fifties and remember steam trains. We also had trolley buses which I loved. Like you I was often sick on buses but never on trains. Hi Don, I see that you have got your priorities right work will always wait for you, glad that you enjoyed it and I am really pleased you made time to let me know, I really do appreciate the feed back. Hi Suziecat7 thank you so much for your comments I really do appreciate them so much, it is such a relief to know that others like what you write and don't find it too long winded and boring. Thanks so much for taking the trouble to comment. I take it from your name that you like cats, you might find my hub https://hubpages.com/animals/My-Camera-and-I-Looki... interesting, as it has my daughters three cats with their photos featured in it. Hi Tammy, I am glad that you were able to at least enjoy a vicarious trip on an old steam train. I know that you still have a good many steam trains running in your country, so maybe you will get to ride on one still. Thanks for the encouraging comments they are very much appreciated. Being a bit of a nostalgia buff I must say this piece really hit home. I had other duties but you got me enthralled and I enjoyed. Best break all day, now back to work. This is everything a Hub should be. To me, there's a romance to trains. The photos were great as were the videos. Thanks. What a wonderful hub, maggs! I have never ridden on a train, but have always wanted to. Hello, you are so kind it is really encouraging to get such positive feedback. I enjoy going on these trips down memory lane but usually at some point I begin to wonder if anyone else will be interested, so I am always thankful for the kind words from those who take time out to read these hubs. Thanks Rochelle for the kind words, I am glad you were able to take a little time out of you day to have a virtual stroll down memory lane with me. I have not only enjoyed, I loved every bit and word of it. Thank you so very much. I love reading stories like that. What a wonderful way you have of evoking all of these scenes and memories. These certainly are, and will continue to be a treasure for your family to hold onto. Thanks for sharing them with all of us, too. My goodness Alekhouse you are really quick off the mark, thanks so much for taking the virtual trip. Wow! I loved this. Good job. Thanks for the train trip.